But with the Irish it was quite different, and any conflict over jurisdiction and the authority of Augustine did not flare up in his lifetime. In 664, over a hundred years after the coming of both Augustine and the Roman mission and Aidan and the Irish, a point of disagreement about the date at which Easter should be celebrated each year was seen to divide them… but it had in no way prevented joint evangelization earlier. There was good reason for the different datings of Easter to come to a crisis in Northumbria in the mid-seventh century. 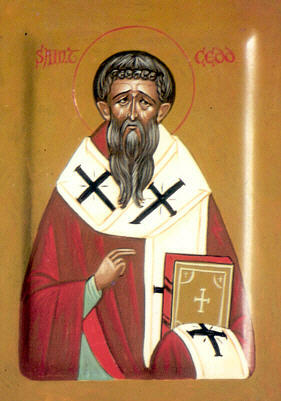 On Easter Day 627, Edwin of Northumbria received baptism with his thanes and their followers at York from Paulinus, one of the companions of Augustine sent by Pope Gregory from Rome; it was 12 April 627, a date for Easter calculated according to the Roman method. In 633, six years later, Edwin was killed in battle at Hatfield Chase and Paulinus fled with the queen to Kent. James the deacon remained behind near Catterick, and when peace was restored a year later, James (who was later present at the Council of Whitby) “instructed many in singing after the manner of Rome and the Kentish people.” (ibid, bk 2 ch 20) After a year there was bitter warfare between the pagan invaders and the new Christian claimant to the throne, Oswald, who had been in exile and received Christian baptism from monks on Iona. 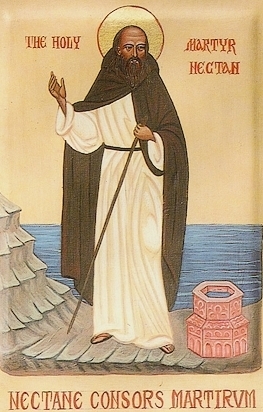 He became king in Northumbria and at once introduced missionaries from Iona, who followed the Irish customs. In one year, and with Roman Christians still alive and active, the Roman calculation for the date of Easter was surely still assumed to be correct in Northumbria. The difference came with the new missionaries, friends of the king, who knew his Christianity first from the Irish, who kept Easter on a different day from the Roman missionaries, and indeed from the rest of the Church. There was nothing there that any Irishman would object to. Why some of the Irish and also some of the English differed from the new Roman missionaries was not a matter of alternative symbolism or theology or biblical study, but of calendric calculation. It was not, as Wilfrid suggested at Whitby, because they were Quartodecimians… The Irish calculated Easter in a perfectly orthodox manner; the problem was that they were using lunar tables which had reached them from Rome and were made by Victorius of Acquitaine on a 95-year cycle, and were less accurate than those which had replaced them, that is, those of Dionysius the Small… Other differences caused the date sometimes to coincide, sometimes to be a week apart, sometimes four weeks apart. To Anglo-Saxon Christians such differences were intolerable and after 664 they, and most of the Irish, agreed to observe the new Roman Easter; by 731, even the conservative Iona had followed suit. That was the point of discussion at Whitby. When we look at who said what and why, it was all more mixed-up than at first appears. It was not a matter of the arrogant men from Rome baring their teeth at the simple Irish at all. At the Council of Whitby, who supported each side? There was no clear-cut division in terms of nationalism. Hilda was hostess to the Council of Whitby where, under the influence of Aidan and Colman, she inclined at first toward the Irish side. Possibly there was a personal antagonism between her and Wilfrid, since she later accused Wilfrid to Rome in the last year of her life. 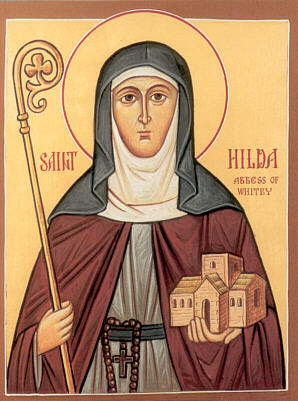 Hilda died in 680, the year in which Bede entered Wearmouth. In her life there is a mixture of Anglo-Saxon, Roman and Irish elements which blended together imperceptibly. So almost everyone at Whitby had close and friendly contact with both Roman and Irish missionaries; it was not a clash of opposites, but an argument between friends on a matter the importance of which united them far more than the details divided… In this matter of the Easter date, what needed sorting out were errors of calculation, whoever did it. And likewise with conduct: no one was to be judges as Roman, English, or Irish: such divisions were not appropriate. Article published in English on: 28-2-2011.